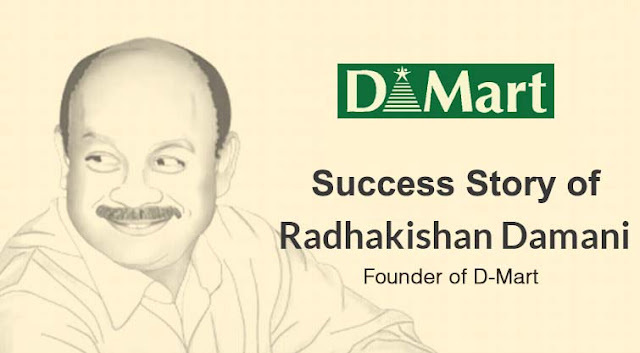 Home > Special Articles > D-Mart’s Mr. Radhakishan Damani - India’s low-profile investor who is also called India’s ‘Warren Buffet’; 10 things to know about him! D-Mart’s Mr. Radhakishan Damani - India’s low-profile investor who is also called India’s ‘Warren Buffet’; 10 things to know about him! He likes to keep a very low-profile. He rarely makes appearances at public events and avoids speaking to the press. Shares of Avenue Supermarts, the operator of supermarket retail chain D-Mart, on Tuesday, made a bumper debut on BSE, as its shares got listed at Rs 604.40, up 102 percent over the issue price of Rs 299. It later soared 105.68 per cent to Rs 616.25. 1. Mr. Radhakishan Damani is also a mentor to billionaire investor Mr. Rakesh Jhunjhunwala. 2. According to Forbes, he holds stakes in a range of companies, from tobacco firm VST industries to cement maker India Cements. 3. He likes to keep a very low-profile. He rarely makes appearances at public events and avoids speaking to the press. 4. Mr. Damani is fondly called “Mr. White and White” due to his penchant for wearing a white shirt and white trousers. 5. Much before D-Mart happened; RK was known to be an ace investor in the stock market much like Rakesh Jhunjhunwala. Due to his Midas touch, he has successfully earned the reputation of being one of India’s finest value investors. 6. According to reports, RK Damani began his career as a trader in ball bearings, with no intentions to enter the stock market. Post his father’s death, he was forced to close down that business and had to join his brother in the stock broking business, which was inherited from their father. 7. Damani has a net worth of $2.3 billion, according to Forbes magazine. Damani was ranked 98th in the Forbes India Rich List 2015 with a net worth of $1.15 billion. 8. As Damani and family hold 82.36 percent stake in the company, the value of their holdings is a whopping Rs 32,934 crore now. 9. His portfolio, before the listing of Avenue Supermarts, was estimated at over Rs 3,000 crore marked by smart stock picking and staying invested in several stocks “He can be called India’s Warren Buffet,” told a market source to Indian Express. 10. His property portfolio includes the 156-room Radisson Blu Resort in Alibag, a popular beach-front getaway close to Mumbai, according to Forbes.